Clowns can be a spitting images of terror for many people. They drive fear straight into the heart, and even the mere mention of the word “clown” sends some running. This is particularly problematic as reports have been springing up from all over the country about clowns attacking people, mainly children and college students. While clowns don’t usually bother me, I in fact loved them as a child (especially Ronald McDonald), these stories of people dressed in clown masks, trying to scare others by following them, chasing them or even grabbing them makes me quiver in my boots. Reports have come out about people being injured, dragged into the woods or even killed by these clowns, which only adds to the terror. Most recently on Albion’s campus, Director of Campus Safety Kenneth Snyder sent out an email on Sept. 28 warning of a potential bogus threat that may come to campus; however, he offered no more details on what the threat may be. Soon after this email, the reports of clown attacks, many posted as threats on social media posing as clown alias, stating where they were going to attack next started leading some to believe Snyder’s email was in regards to this event. Another rumor on Albion’s campus is that a car filled with three people all dressed in clown masks drove through campus the other week. The clowns were yelling vulgar and threatening things out the windows and then quickly sped off. Yet others report seeing a lone clown wandering through the campus at night. So how did this clown business start? According to the Washington Post, these clown attacks and sightings began this past summer with reports of clowns persuading children to go into the woods with them. This craze didn’t really gain national attention and grow into a problem though until the beginning of September, and it has continued to become more and more of an issue since then. According to Time, while many of these clown attack reports have just been hoaxes, some people have been arrested and are even facing charges for making terrorist threats as clowns. Some students are taking measures into their own hands, like Pennsylvania State University students who took to the streets to carry out a clown hunt. These recent clown attacks have sparked many to then, in turn, attack anyone dressed as a clown, despite whether they have ill-intentions or not. Due to this, a new campaign called “Clown Lives Matter” has been started by professional clowns. Fox News reports that the community of clowns in Tucson, Arizona, are going to have a Clown Lives Matter march on Oct. 15 to protest all of the bad press clowns have been receiving. On Facebook, there are even several groups, pages and public figures representing the Clown Lives Matter movement. One such Clown Lives Matter page, @ClownLivesMatter, states that they are in no way associated with any clown sightings or attacks, and their purpose in having the page is to stop the hate and prejudice clowns have been receiving. There are even Clown Lives Matter merchandise, such as t-shirts and sweatshirts being sold, and the #ClownLivesMatter is trending on social media. While many people are able to laugh off this clown craze, I have to admit, I’m not all that comfortable walking around campus after dark now. And with having a ground floor room, you can bet my blinds are tightly drawn every night at dusk. It seems that the clowns only want to have fun, and by fun I mean they only want to walk around and scare you. There are unfortunately some who have taken it too far leading to all of this pandemonium. So what should you do if you see a clown on Albion’s campus? First off, you should try to get away from it as quickly as possible and get inside a building. Second, make sure to call Campus Safety. While a majority of the people you will see in these clown masks are only doing it as an innocent prank, with the reports of some clowns causing harm to people, it’s better to be overly cautious, as ridiculous as it may seem. Some people dressed as clowns have been reported as being shot, killed or even brutally beaten by groups of people. So if you’re thinking of pulling the clown prank, you may want to think again. It could be a fun prank, but it could also lead you to being seriously injured. 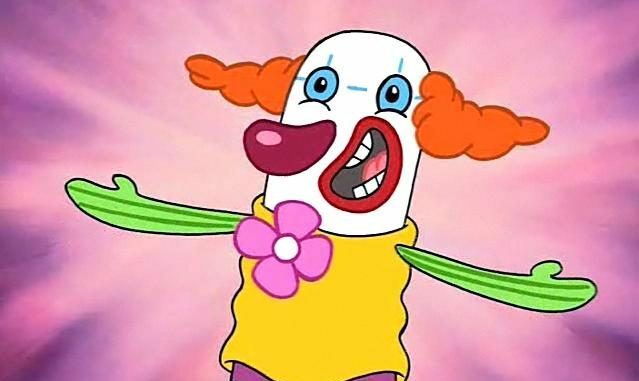 As this clown craze continues, just remember to be careful, use common sense, caution and most importantly, remember they’re only clownin’ around.